Ships today if you order in the next 8 hours 56 minutes. 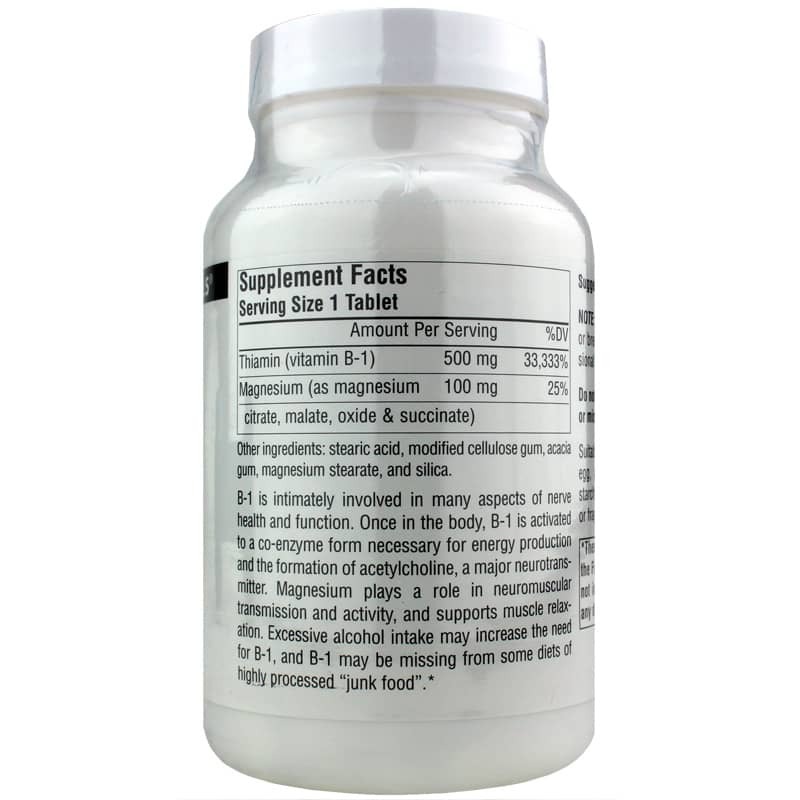 B-1, also called thiamine (or thiamin), is an essential nutrient in the body that works to metabolize food, maintain cardiovascular health, and support nerve function. It is part of the B complex of vitamins, which can be found in foods like beef, poultry, whole grains, legumes, nuts, and blackstrap molasses. However, many people do not get enough B-1 in their diets, which can lead to difficulty digesting carbohydrates, and other health issues. 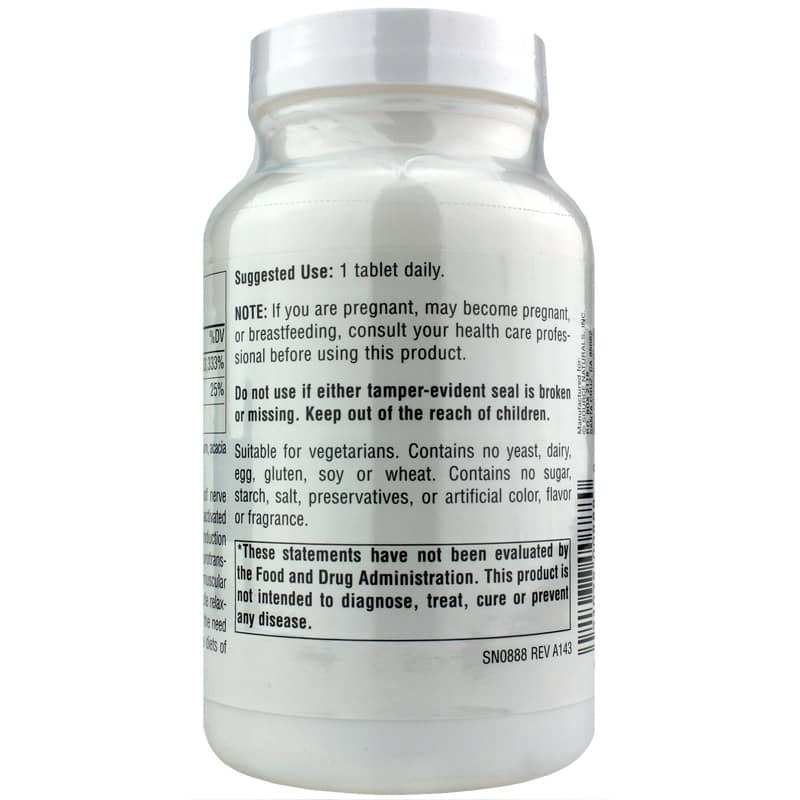 If you need more thiamine in your diet, consider a supplement like B-1 High Potency from Source Naturals. This supplement is compounded with magnesium, a mineral that supports neuromuscular activity, to support cognitive health and promote absorption. 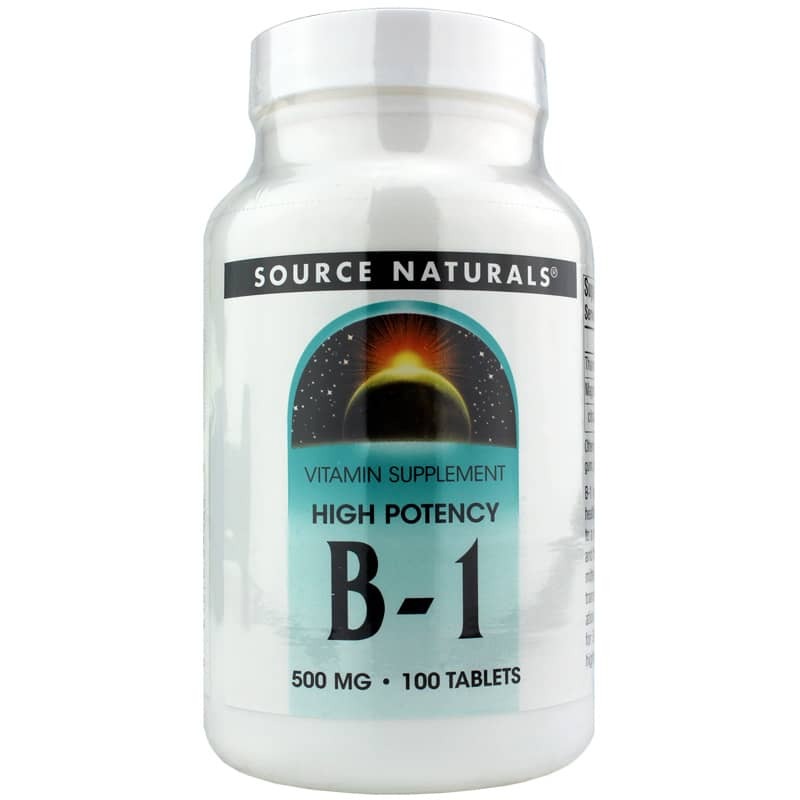 Support your health with B-1 High Potency from Source Naturals. Other Ingredients: stearic acid, modified cellulose gum, acacia gum, magnesium stearate, and silica. Contains NO: yeast, dairy, egg, gluten, soy or wheat. Contains no sugar, starch, salt, preservatives, or artificial color, flavor or fragrance. Suitable for vegetarians. these pills should have been scored.